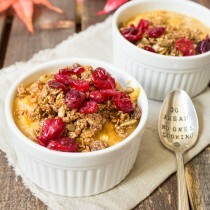 Creamy oatmeal cooked with pumpkin puree and sweetened with maple syrup then topped with granola and dried cranberries. 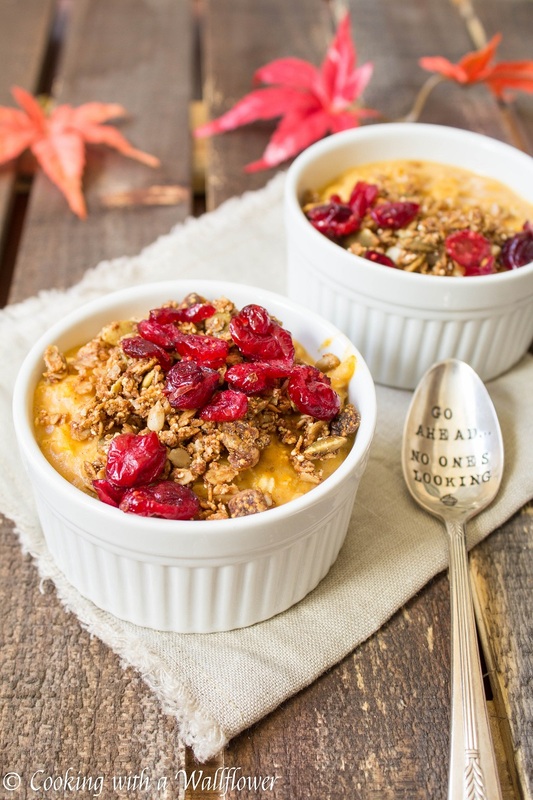 This pumpkin pie maple oatmeal with granola and cranberries embodies all the flavors of fall in every bite. This is what breakfast should be every morning. I can’t imagine a better way to wake up in the morning. On days that I work, I’m usually up at 5:30-6:00. The sun is slow to rise in the fall, the morning air is chilly. So a delicious warm bowl of oatmeal is the perfect way to start the day and give me that push out the door. 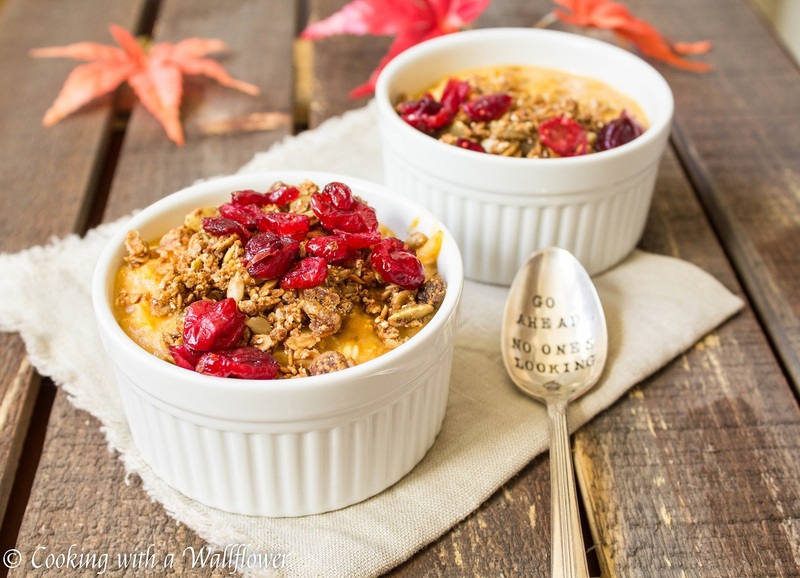 The creaminess of the almond milk, the sweetness from the maple syrup, the fall flavor of pumpkin, the crunchy granola, and the sweet dried cranberries. So many flavors and textures, most of which represent fall. Even better, this breakfast takes only a few minutes to make. And while this recipe is for one, because I wake up the earliest and the oatmeal isn’t as good if it sits out for awhile, you can definitely easily adjust the recipe to create more servings. How gorgeous is this oatmeal? All that color. So what are you waiting for? You need this oatmeal in your life. First thing tomorrow morning. Add old fashioned oats and water to a small pot over medium to high heat. 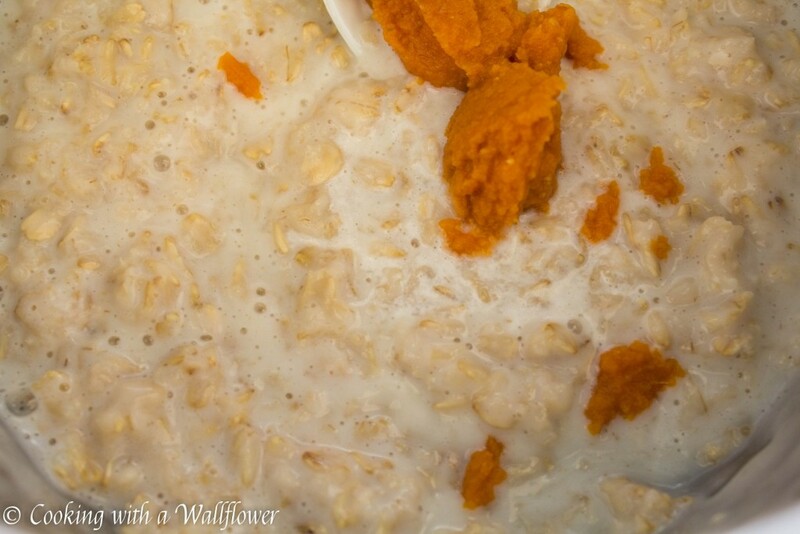 Cook the oats for about 2-3 minutes until the oats have softened to your liking. Add in the milk of your choice. I like using almond milk because it’s slightly thicker which makes the oatmeal creamier. Stir in pumpkin and pumpkin pie spice. 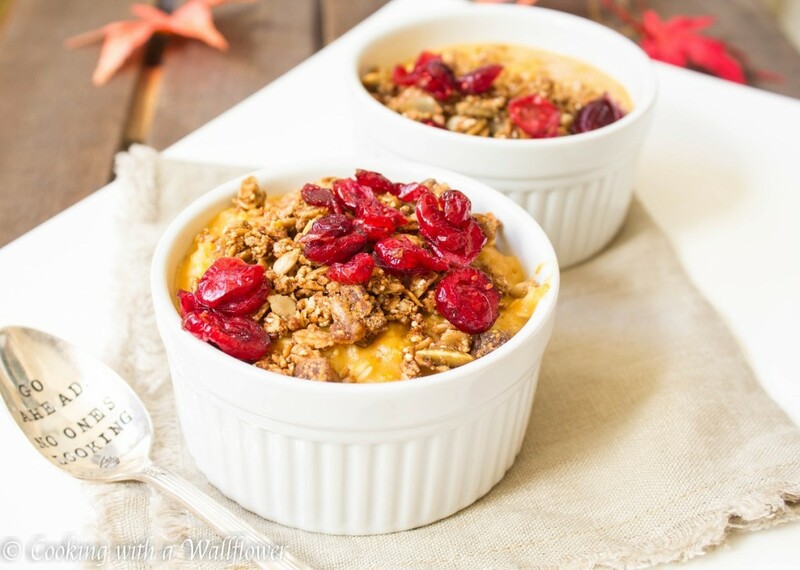 Sweeten the oatmeal with maple syrup for an added fall taste. If you don’t have maple syrup, you can always sweeten your oatmeal with brown sugar. 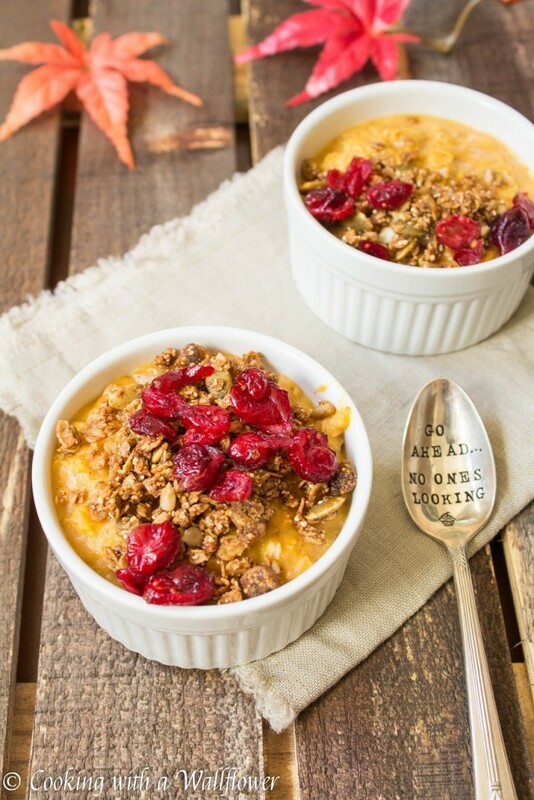 Now, you can top the oatmeal with your favorite granola and dried cranberries. I used Purely Elizabeth’s Pumpkin Fig granola. But you can also use homemade granola too. 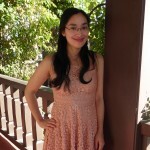 Join me and other food bloggers at Fiesta Friday. 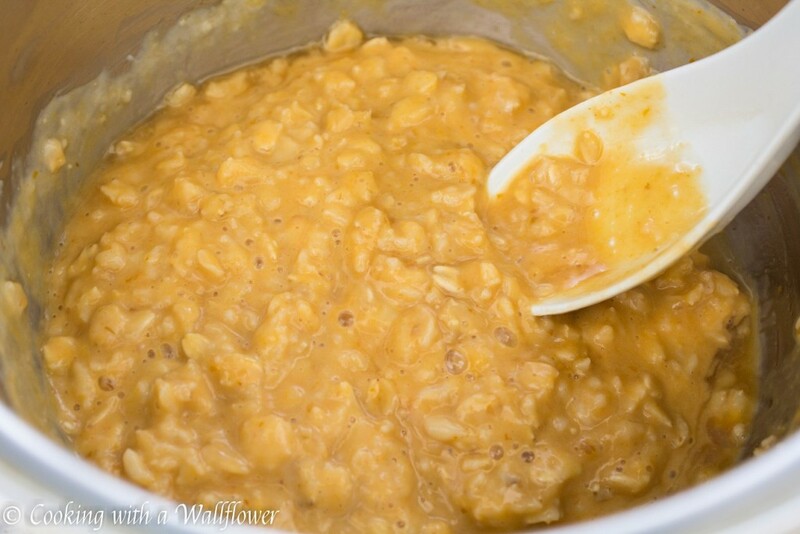 In a small pot, add old fashioned oats and water over medium to high heat. Cook the oats for 2-3 minutes or until the oats have softened to your liking. Add in the milk, pumpkin puree, pumpkin pie spice, and maple syrup. Stir until the ingredients are well incorporated. Put the oatmeal in a bowl. 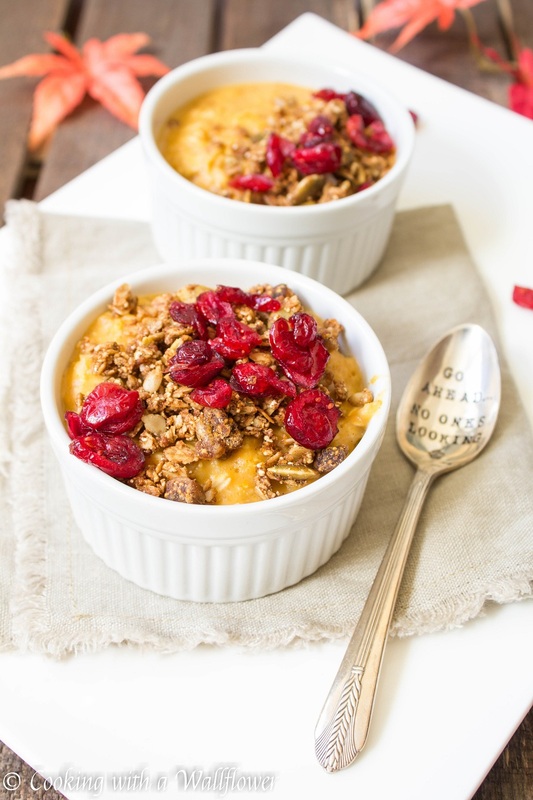 Top with granola and dried cranberries to taste. This entry was posted in Breakfast, Gluten Free, Healthy, Quick and Easy, Recipe Disasters, Recipes, Vegetarian and tagged breakfast, gluten free, quick and easy, vegan. I love that spoon! Did you make that? This sounds so delicious – I must try! Sounds wonderful, and vegan as well. Great idea to celebrate the hall season. Thanks for bringing this to FF. I’m pinning it houseguests this season.